We went from the richness of harvest colors to dry, bleak branches. The Harvest season flew by as I celebrated my thirty fourth birthday, my oldest son’s tenth birthday, my second born’s eighth birthday and right before Christmas, my husband’s thirty eighth birthday. Oh, I love celebrating the birth of each one of my loved ones. We celebrate big with home made vegan cinnamon rolls and home made hot chocolate or crispy waffles and diced, baked, seasoned potatoes. We have days full of fun and laughter and celebration but it requires much from this mama to maintain such traditions. I wouldn’t trade it for the world but in the midst of a Thanksgiving get-a-way and Christmas To Do lists, it all caught up to me. I made the mistake of getting off of my Juice Plus. I was off for about a month and throughout that time the oxidative stress on my body began to build and build and build until I was numb from my feet all the way up to my ribs. Yup. I allowed myself to relapse. I took myself off of the very product that constantly helps my body to detoxify and then added less rest, more sugar and more stress. A learning lesson indeed. Why is it that we wait until we are in a pit before we do something about it? 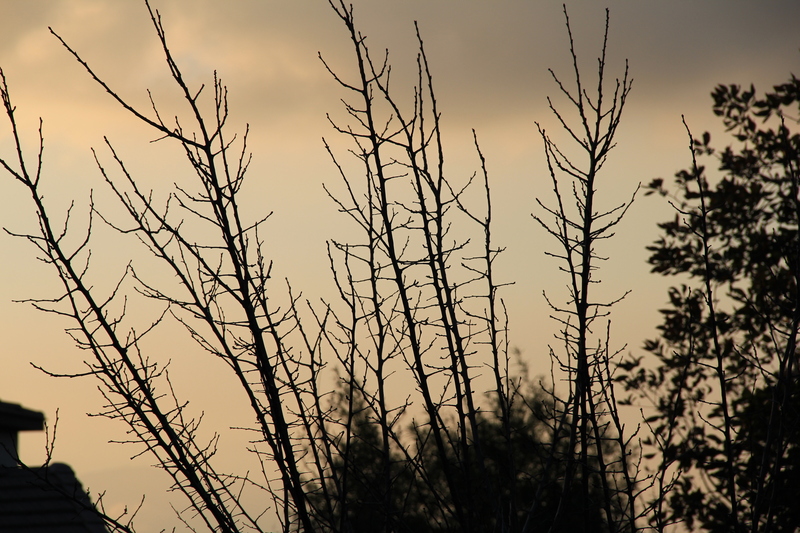 I am now, like these dry winter branches, reaching out for every bit of rain drop and sun that would feed my weariness. I just finished a four day, at-home therapy of intravenous steroids and now I am on a ten day taper. My body is shaky, my nerves on edge and I feel all too often like She-Hulk wants to bust out of me! Oh, I repent and lay it all down at Jesus’ feet. My family is gracious and they all know I am all too fragile right now. I just take moment by moment. I have more mobility of my legs and I was even able to drive this weekend! Yahoo! You don’t know how freeing that is unless you have had the privilege taken away. I still have quite a bit of numbing/hugging around my ribs and midsection. I am praying that fades quickly. You know what it is like when you have worked so hard to do well and then you bend and mess it all up? It is incredibly discouraging. I felt so overwhelmed by this relapse. And I didn’t want to go to my discouraging neurologists either. That was why I waited so long to get treatment. Sad isn’t it? Through it all, I chose not to lose hope. The Father has been so faithful to whisper comfort into my ear. He has encouraged me along the way and now He has brought me a very supportive doctor. This doctor is very happy with my Alkaline and (just recently) gluten free diet! He is happy with my supplements and understands the wonderful benefits of Juice Plus! His goal is to get me through this relapse and then to find out why my body is attacking itself via this particular Auto Immune Disease. He wants to get me better, not just treat my symptoms. Can I say, “Thank you Jesus” enough times? Oh my! I walked away from his office so very thrilled and excited. 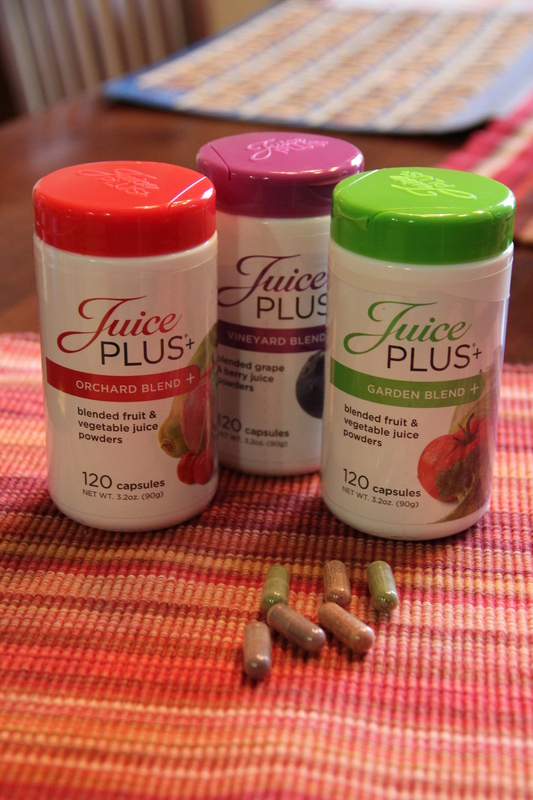 I am currently on a cleanse using Juice Plus Complete (plant based)Protein Powder and doubling my Juice Plus capsules. I am also using Immunacore to help decrease inflammation as well. I am flushing my body of toxins and stress and while doing so soaking in all the nutrients from these products and the foods I do put in my mouth. I am on a renewed mission toward health and helping others. It’s really the little things we allow into our lives that take us down Friends. It’s not just the big, obvious things we see coming to stomp us. What are you going to do today to guard your mind, your soul and your body? What are you going to put into your life to fill you up with good and all that breeds life? One ray of sunshine and one drop of rain at a time fills and feeds the roots of any tree and in Spring that tree will bear fruit. I am planting my spiritual body in God’s word and truth. And my physical body in real, nutritious food that feeds my cells. If you haven’t fasted or done a cleanse I highly encourage you to do so. It will give your body a good foundation to build on. Once you have done that, pour into yourself like you matter, because YOU DO MATTER! !